Note max. 10 connections possible to a cable of the same cross-section. 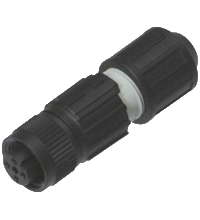 After repeated cable connection it may be necessary to renew the seal and cap.